Police have launched a murder investigation after the death of a man stabbed in Bramley, Leeds today. At 3:04pm, police were contacted by the ambulance service who had been called to reports of a man with a stab wound on Broadlea Terrace. A Yorkshire Air Ambulance landed in the street and the man was given CPR at the scene following the incident. The man, aged in his 40s, received emergency treatment at the scene but was pronounced deceased a short time later. A 48-year-old man and a 45-year-old woman have been arrested in connection with incident. A police cordon is currently in place including multiple police vehicles and a forensics police tent at the scene. Enquiries are ongoing by the Homicide and Major Enquiry Team. Keep following Leeds Crime & Incidents Facebook group for more as we get it. Detectives have launched a murder investigation following the death of a man in Bramley earlier today (26/02). A West Yorkshire Police spokesman said: "At 3:04pm, police were contacted by the ambulance service who had been called to reports of a man with a stab wound on Broadlea Terrace. "The man, aged in his 40s, received emergency treatment at the scene but was pronounced deceased a short time later. 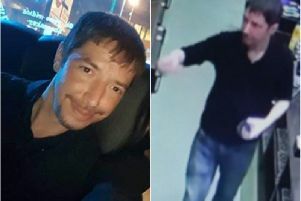 "A 48-year-old man and a 45-year-old woman have been arrested in connection with incident. "A scene is currently in place and enquiries are ongoing by the Homicide and Major Enquiry Team. "Anyone with information is asked to contact police on 101."